Packaging has a close relationship with the safety of the food we eat. It protects food from contamination in the environment. 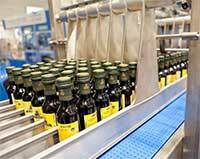 It contributes to a stable shelf life, and helps minimize fluctuations to a product’s safe handling conditions. It can seal in freshness and help preserve the flavor profile of a product. But packaging can also have its share of risks. If proper care isn’t taken, it can compromise the quality or safety of a product and introduce hazards like disease-causing bacteria or allergens. The Packaging Consortium (PAC) and International Featured Standards (IFS) partnered to create IFS PACsecure, a HACCP-based standard to help packaging manufacturers and converters certify that their packaging conversion processes and products are safe and of the quality expected by their customers. Built primarily for food packaging, IFS PACsecure is versatile enough to apply to manufacturers who supply products outside of food, including pharmaceutical and other CPG products. Individual workbooks: cover the 24 most commonly used manufacturing processes in packaging material conversion. Hazard analysis implementation tool: outlines the physical, chemical and biological implications of almost every material, chemical, and process currently used in the manufacture of paper and flexible plastics packaging. Work is underway to complete the same for rigid plastics, metal containers and glass packaging. Good Manufacturing Practices (GMP) audit tool: identifies acceptable limits, monitoring, deviation and verification procedures, and supports records maintenance for the same above mentioned materials, chemicals and processes. Like all Global Food Safety Initiative (GFSI) recognized standards, IFS PACsecure is accepted by many of the world’s largest retailers. Becoming certified helps to minimize the number of customer audits your company undergoes each year, reducing lost production time and inefficiency. IFS manages auditing and certification activities for IFS PACsecure, with certification available through multiple third-party certification bodies. IFS is one of the world’s largest safety and quality standards organizations, with about 13,000 certifications to its GFSI-recognized food safety standard and 15,000 certifications overall. In addition to packaging, IFS manages standards governing logistics, brokers, cash and carry/wholesale, household, and personal care goods. There are a variety of organizations globally that offer training for IFS PACsecure. An online training tool is available to educate employees about the importance of food safety culture, and includes “how to” guidelines covering recall and traceability issues. Visit the IFS PACsecure website to determine when the next training session will be held in your region, or sit in on a webinar to increase knowledge about the Standard. Recognized by the Global Food Safety Initiative (GFSI): results in fewer audits, and incorporates wide-ranging stakeholder input for a comprehensive standard that appeals to some of the world’s largest retailers. Realistic and flexible: compared to other standards, IFS offers companies up to 12 months to make corrective actions for deviations that are not related to product safety, serious health hazards, or regulatory issues. This is a practical way to manage the standard around your business rather than hastily putting a corrective action in place just to get a certificate. Developed for packagers by packagers: PAC is a not-for-profit corporation that includes over 2,100 members throughout the packaging value chain. IFS PACsecure was developed by a 100-plus member steering committee made up of some of the largest global packaging and food manufacturers. Managed jointly by PAC and IFS: PAC provides technical expertise and a thorough understanding of the risks packagers face, and IFS supports with a global network of food safety and quality standards infrastructure. Based on Hazard Analysis Critical Control Point (HACCP): criteria for packaging materials are covered in 24 individual workbooks. This supports companies in using a science- and risk-based approach when developing their program with tailored risk management practices. FSAP recognized: The standard is recognized by the U.S.-based Food Safety Alliance for Packaging (FSAP). FSAP includes firms such as General Mills, Nestle, Kraft, Conagra Foods, Unilever, Sara Lee and Campbell Soup, and is recognized by the Canadian Food Inspection Agency (CFIA). For more information about IFS PACsecure, visit the PAC and IFS websites.